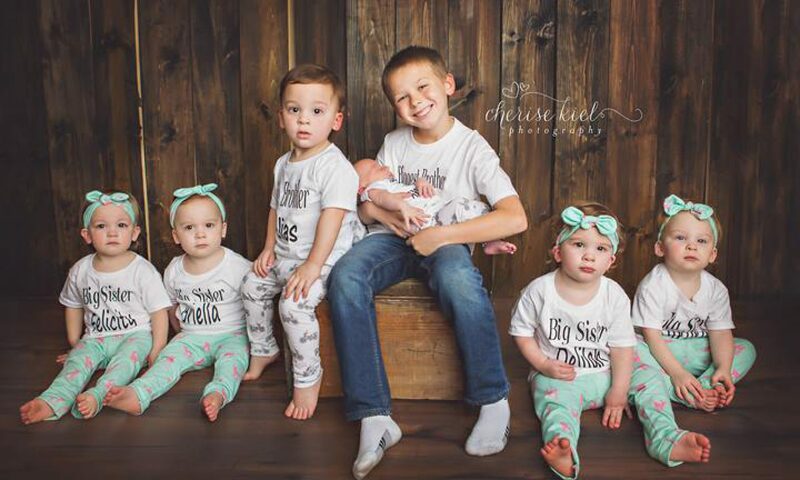 Conner was an only child for 7 years before the quints joined our family. 2) Conner’s birthday is only 14 days later than the quints and 17 days later than his Angel sister, Allyannah’s birthday. 3) Conner loves sports. He has played in at least two sports/activities year round since the age of six months! 4) Conner has embraced the chaos of our military and quintuplet+2 life with grace and poise. He has learned patience and has become a very well rounded young man. 5) Conner was born at 39 weeks and weighed 7 lbs 4 oz. His current favorite food is Longhorn’s Flo’s Fillet with extra prairie dust. He loves math and wants to become an accountant. Previous PostPrevious 10 fun facts about 4 year old Briella! Next PostNext 10 fun facts about 4 year old Delilah!